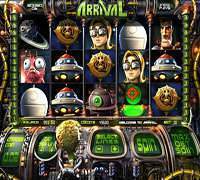 Are you looking forward for an alien adventure, do you want to go on a space ship and accompany an alien as he is flying his alien ship, if so, then you can get your wish granted through this Betsoft powered video slot machine, Arrival. 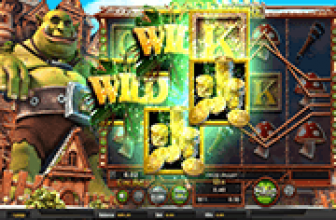 Since it’s a Betsoft game, players will enjoy it at any of the casinos that Betsoft powers such as Mr. Green casino. So get ready to enjoy an interplanetary gaming experience as you hop on the space ship with the alien. The game is not only fun and excitement, with its wonderful 3D visuals and sounds, as it is also pretty rewarding whether through the regular line pays, or with the help of the special icons of the game and the bonus features that the video slot proudly hosts. The game has five reels and thirty betting lines for casino players to place their wagers on. These paylines and reels are location on a big screen in an alien ship. Players will see the alien driving the ship sitting in front of the reels and will also find the buttons and the controls of the space ship which are also the buttons that are used to place bets, choose coin sizes and spin the reels of the game. are all inspired by the alien theme of the game. This is why they include UFOs, Alien ships, an alien ray weapon, a robot, alien planets, a scientist and numerous aliens. The paytable of the game can be found at the top right of the game’s screen. 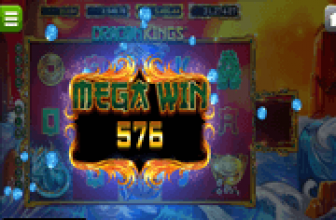 This paytable will show online players the different winning combinations that would enable them to earn payouts as well as the special features that the game has on offer. One of these features is the UFO Click Me Bonus. This bonus is activated when players get 3x Ray Guns on the slot’s reels. 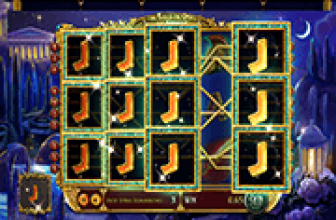 They will click on the symbols in exchange of immediate cash rewards. Another bonus feature is the wild reel feature. Players can trigger that if they get 3 alien symbols. So if you are intrigued with what the game has to offer and you want to check it out before playing it for real, then you can do that right here for fun, with endless credits. Join the alien, travel to outer space and enjoy one heck of an interplanetary experience.